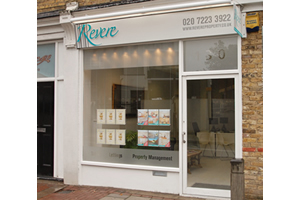 Welcome to Revere, a local independent estate agency for South West London. If you're a landlord looking for property management services, a seller wanting to sell your property, or a prospective tenant or buyer, we offer professional help from a friendly team. Why choose us? Because we have many years of experience in property management and estate agency in South West London, and a superb knowledge of the area. We're also an independent agency, which means we won't try to force a 'one size fit Read full description...Welcome to Revere, a local independent estate agency for South West London. If you're a landlord looking for property management services, a seller wanting to sell your property, or a prospective tenant or buyer, we offer professional help from a friendly team. Why choose us? Because we have many years of experience in property management and estate agency in South West London, and a superb knowledge of the area. We're also an independent agency, which means we won't try to force a 'one size fits all' solution on you - we'll listen to your needs and find a property solution to suit you. Get in touch today for a transparent, straightforward and customer-focused service from Revere. Not applicable (relocation to temporary home, with all fees paid for by insurance so that I don't have any knowledge of them). Their fees are standard for this type of work. I don't have much experience of fees as a tenant but the fees charged for tenancy checks and contract fees were as expected. Acceptable fees for the area. Reasonable initial and renewal contract fees.